Promo 5 has been out for over two months. The original Youtube upload of this promo by Filly World had a lot of restrictions: comments were hidden, the description had no information, and even the embedding option was turned off, allegedly forcing some people to reupload the video for their own reasons. And while the majority of these decisions are still in place, the video now has a large description which contains some rather valuable information. Which appears to be the synopsis for the beginning movie of Filly Funtasia. Or for its pilot episode. Or maybe for something else! Venture past the break to see the full copy of the description, and feel free to speculate and/or anticipate. Its contents seem to be clips from Filly Funtasia itself, put under a graphics filter and surrounded with snowflakes, and it once again revolves around the Blue Rainbow crystal. The episode has now been featured in the majority of the promotional videos released so far. The Funtasia TV series is based within the grounds of the Academy; however, the movie starts with the arrival of a mysterious stranger to the school that begins an amazing adventure leading Rose and her friends beyond the walls of Funtasia and through all of the Filly Kingdoms. Is the use of the world "movie" a translation mistake, or a hint at something other than the TV series? Will we actually see all Filly Kingdoms, including the, well, Filly Kingdom itself, where Prince Cedric hails from? It will become clear eventually. ~with thanks to Greyfeather for noticing these two videos and sharing them. MIPCOM 2015 has passed, BRB have shown their selection of shows to people, and now, when everything has settled down, some actual news have emerged, news that touch upon the future of Filly and Filly Funtasia. Brandora GmbH have posted a detailed article which encompasses a wide variety of what we can expect in the next year and in the years beyond that. So let's take a look after the break at some quotes from the article, shall we? More details of Filly Funtasia development break the surface of concealment. The long story of this production is very hard to tell without filling the holes of the unknown with assumptions - assumptions that sometimes have little to do with the truth. Thankfully, once in a while we get the chance to take a sneak peek and gather bits of information, however small they might be. And sometimes the members of the crew are happy to tell us these bits themselves, without unnecessary difficulties. This week, Cheng Ye, Lead Modeler for Filly Funtasia who worked for Black Dragon, kindly addressed some professional questions that were asked by RaichuWizDom - also known as Wise Cracker. You can read the interview below. Has it really been two years? It might not feel like it, but it sure has! Two years ago on this day, Funtasia Daily first opened up, with a mission to report on everything related to that cartoon show which was due to launch in about half a year. After two years, we’ve seen a few more trailers, found out some more about the world of Funtasia, and seen the launch of a few more Filly toylines - and the show is still not out, but is due to launch next year as always. Let’s take a short look at what’s happened over the last year. The promo has been out for a while, and it was a nice one! Our analysis post is coming soon™ (so much to talk about! ), but until then, you can check out some videos, after the break! Apparently BRB Internacional, Dracco Ltd., Black Dragon, Screen21 all together have decided to drown us in content this week. We have been given 17 seconds one day, one minute the other day, and today we are given whole two minutes of Filly Funtasia footage, complete with The Magical World playing in the background all the way through. I am exhausted for words. Go watch and bask in the glory. October 2015 Reel: More Footage! 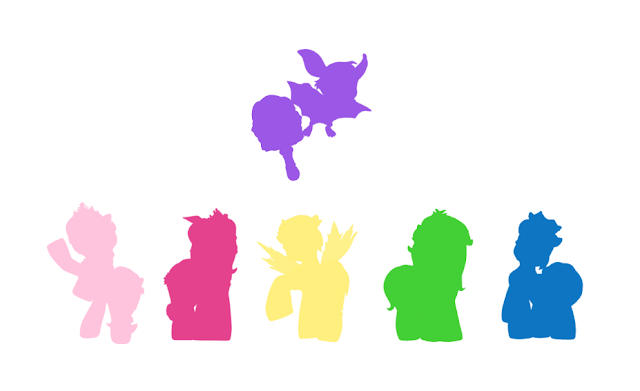 It's the Magical World, where everyone shines! Surprises keep coming! Just three days after the super-quick one minute demo reel of the shows BRB Internacional brought to MIPCOM 2015, they went ahead and uploaded another demo reel, which is five minutes long. And the first minute of this video is fully dedicated to Filly Funtasia, gifting us with insane (relatively) amounts of new video footage. But that's not all. Video footage is great, but it's even better when it's accompanied by audio! And in this case we have The Magical World - a song that was hinted to exist in this German February article, and since then has appeared in various commercials for the toys that can be found on the MyFilly Youtube channel page. And it finally appears here. Even though it's still not available in its full form, promo 6 grants what seems to be the first third of it. But enough talk, have a watch! The year 2015 has been a tough year for Filly Funtasia. For the majority of the year, the creators of the show have remained mostly silent, dropping only a few mentions of it here and there. In particular, the last time there was any new video footage was almost a whole year ago, which pushed the total amount of available Filly Funtasia video content to five minutes and one second. Mere days ago, BRB finally uploaded more Filly Funtasia in all its glory, shuffled into one video with other shows. 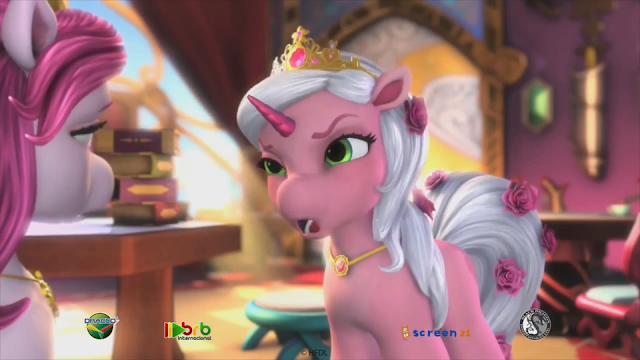 There are 18 sections in the October 2015 Reel, 5 of which are dedicated to Filly Funtasia - and within these five sections, a whole fourteen scenes are shown. As promised, these scenes have been furiously analyzed, and the results are right here, after the break. It's the beginning of October, which means that MIPCOM 2015, a large annual meeting of various content creators, is about to happen. 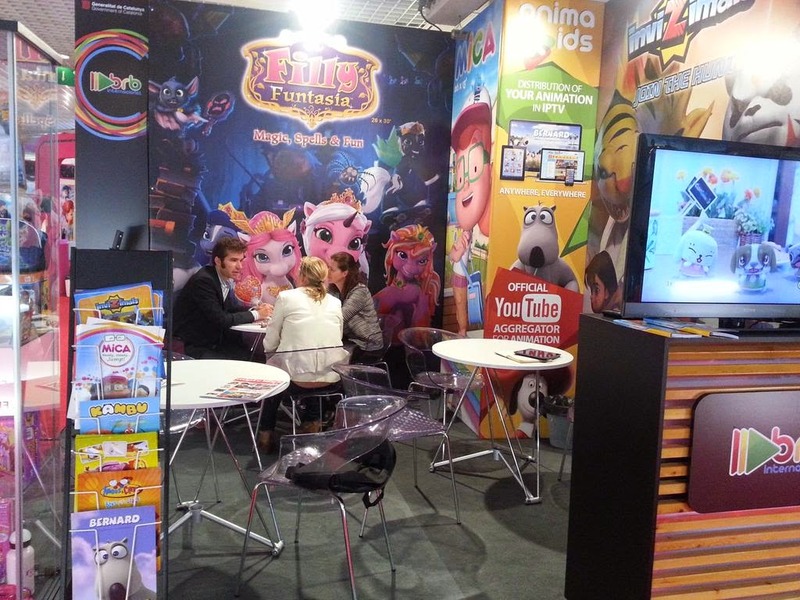 One particular attendee of MIPCOM 2015 is BRB Internacional, who has already visited the meeting both one and two years ago - and both of these times have granted us promos for Filly Funtasia, which you can watch here (2013) and here (2014). Naturally, BRB have to make their presence at MIPCOM 2015, and one of the best ways to do that is to play a reel of their content - bright, quick, and showcasing, a reel is sure to attract attention. Especially when it has new Filly Funtasia footage in it. Especially the attention of its fans. See the new astounding 16 whole seconds of new Filly Funtasia footage right here, right now! Cut for your convenience. The full video can be found below the cut one. Enjoy! The video will be dismantled for furious analysis at a future point for all to see. Stay tuned! That website should now be stable enough for general use (disclaimer: I'm the one running the server, so feel free to direct all your technical complaints to me), so feel free to read and edit it to your heart's content! Seems like we're getting more online development! In the same manner Filly Stars got its subsite in the beginning of 2015, the recent edition of Filly Mermaids has acquired its own hub as well. And similarly, the current version of the site is nowhere near complete and is full of unfinished features. However, that does not mean it is completely empty. If you liked the earlier concept art post, you're in luck, because there's some more to show! This time it appears to (at least mostly) be from a rather early stage of the show's development. I recommend clicking on the images to view them in a larger size rather than the much smaller size the website's layout forces the images into. (For full size, right click an image and select "open in new tab") See them all, after the break. It has been over a week, but we have finally received answers from Tine Norbøll! I have nothing to add on myself, so go ahead and have fun reading trivia! All text beyond this line is Tine's words. First of all, thank you so much for your questions and enthusiasm! I am really touched and it is always so nice to hear from Filly Fans around the world. Unfortunately, there are some things that I cannot answer. Filly is a brand which belongs to Dracco Company Ltd. and I cannot reveal any secrets about future series or Funtasia in general. I am just as excited about Funtasia as you are, and without saying too much, I can tell you that it will be worth the wait. Many of you ask about details for both the production of the TV series, characters etc. and unfortunately it´s not possible for me to tell you, since I left Dracco Company earlier this year. So, on that note, I will go through those of your questions I can answer. The others I have left out. Sorry, especially to Stepanda whose questions were all about Funtasia. Earlier, we've reported on the fillyfuntasia.com website which is currently only a static image. Well, now we've got yet another WIP website to look at, which features some new material! The main page is at www.dracconews.com/home but it appears that for some countries, it apparently tries redirecting you into a non-existent language version, which means you get stuck on an error page. Since it appears Sweden is included in that, I had to use a proxy to gather screenshots. Have a full analysis after the break! A rather interesting website was discovered recently - a website that belongs to none other than the headwriter for Filly as it has been known from the beginning to the most recent stuff: Tine Norbøll, or Tine Norboell. Inspection of the website reveals that Tine is, among other things, the "Mother of Filly". Backed up by a friendly and equally talented crew, they have worked hard on each and every Filly incarnation, from the nigh-forgotten Filly Forest to the current Filly Stars, including, of course, Filly Funtasia itself. However, the most important detail is that Tine is open for questions regarding Filly! You can drop your question about Filly stories, Filly characters etc., in the comment section below this post within one week, and after that, this post will be followed by a post with answers from Tine, for all to see. Keep in mind, however, that asking a question does not guarantee receiving a satisfying answer. Trade secret is trade secret, and there may be some things we are not supposed to know. Don't be shy and ask away, Filly fans! UPDATE: thank you for asking your questions! They have been sent to Tine, and the answers are expected to arrive "in a few days" (starting from 15th of June). Filly Funtasia has an official website, fillyfuntasia.com. Up until very recently, the only content was an image advertising the show with not much information. Well, that has changed! There's still just an image there, but it is an image that appears to depict a mockup of what the future site will look like! As it's just an image, none of the buttons are clickable and some of the content appears to be placeholder material, but it still contains some neat stuff - including the synopses for the first four Filly Funtasia episodes! Check it out at fillyfuntasia.com and read our analysis after the break! 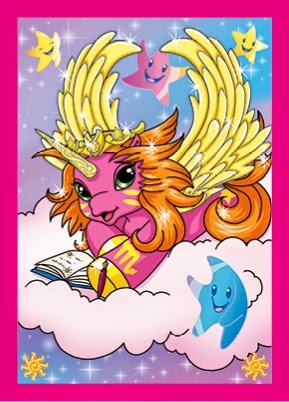 Three of the four Filly Funtasia promos we've seen so far were all released shortly after MIPTV or MIPCOM events in Cannes - the first one in October 2013 after MIPCOM, the third in April 2014 after MIPTV, and the fourth in October 2014 after MIPCOM. (the second and shortest one was released on Worldscreen after another event) If the pattern holds, we're (hopefully) going to get another one in less than a week! What do you hope to see in it? You might think that right after the launch of a toyline, the Filly® crew would take a well earned break. But no, we’ve just received word from a trusted source that yet another new line is on its way! Introducing the Filly® Supernovas! 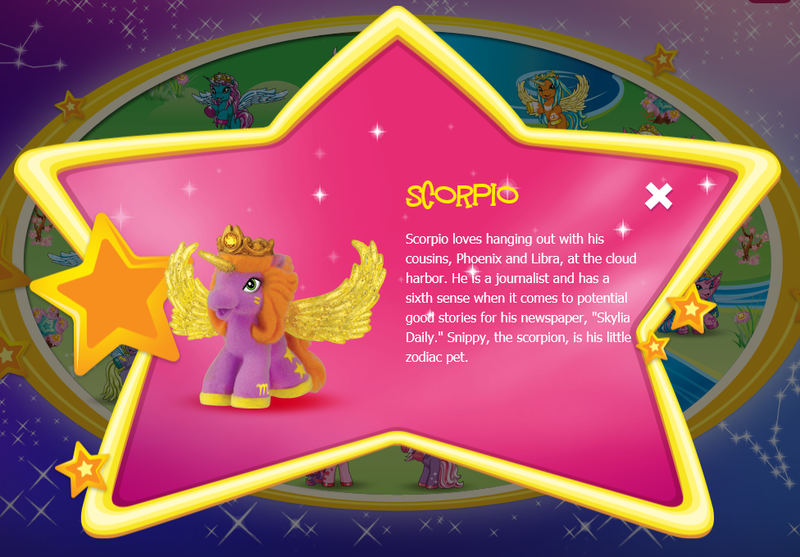 When a Filly® Star uncovers a secret spell, they turn into a radiant Filly® Supernova! Read it all, after the break. "These are Swarovski... these are your future." The Filly brand is evolving constantly, swaying in the most unexpected directions once in a while. The current brand is rich with different and unique settings and characters who remained for the most part separated until the recent (and upcoming) events. But the world of Filly as it is known today still has its beginning, and like most beginnings of natural processes, it's more down to earth when compared to stuff that happened after it. These have been a hectic few days for Funtasia Daily, with three other articles within the span of a few days, some of them deemed holy grails to those who have followed the Filly franchise for a year or two, or possibly longer than that. There were even multiple positive things that didn’t make the cut for those articles, due to their conciseness, so our writer of the day will place them here in a roundup instead, after the break! If you're reading this, you've probably seen the Filly Funtasia trailers (if not, go watch them! ), and if you have, you've probably seen the row of logos at the bottom. There's Dracco - owner of the Filly IP, BRB Internacional - the company making the show, Screen 21 - their studio, as well as "Black Dragon", a Chinese animation studio shrouded in mystery - until now! Recently, an interview on CCTV Español has revealed more - read it after the break. Filly Funtasia in Italy and Beyond! A fantastic piece of news has emerged. If you have been following the series for pretty much any period of time, you might have noticed a constant stream of unfortunate announcements that usually state that Filly Funtasia gets delayed, over and over again. But this day is not one of those! Everyone who's seen the cave scenes from the later trailers probably knows that the environments depicted in Filly Funtasia can be very pretty. 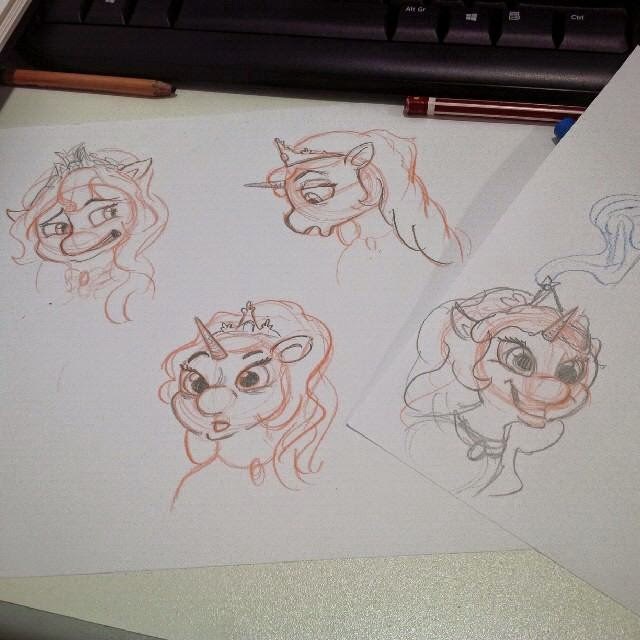 Well, we have a real treat to share today: a whole bunch of beautiful concept art depicting Filly Funtasia scenery! 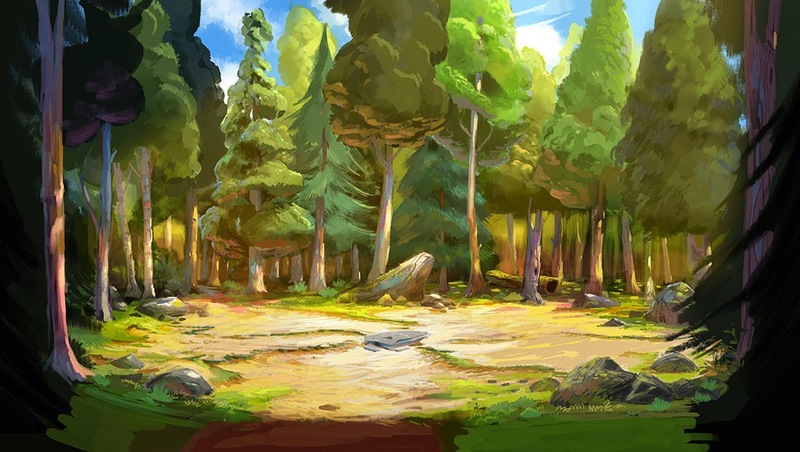 The concept art seems to be from 2013, but given its similarity to material depicted in later trailers, it seems pretty consistent with the current vision for the show! Find it all, after the break. Turn on the subtitles by pressing the "CC" button. Filly Stars is the latest addition to the Filly brand, as you might already know from various sources, including this very website. At the time of writing, Filly Stars does not officially have a publically available website yet, as indicated by its absence in Filly.com's user interface, although it is accessible through inputting a proper website address into the browser of your choice. What one may find out is that Filly Stars appears to be moderately different to what Filly was doing with previous toylines, such as Butterfly, Witchy, Unicorn, Elves and others. And here are eight details that I am going to showcase. How Many Fillys Are There? So, here is another writer joining the ranks of Funtasia Daily, though most probably only for special occasions, so don't expect to see me all that often, especially to begin with. The name is Exohasard. If Skundi is the guy who takes care of diplomacy with people who don't know much about Filly, I've had a tendency to build connections between already existing Filly communities. Ponychan, Twitter, VKontakte, Funtasia Daily comments, you name it, I'm there. Additionally, I used to be known as My Little Life on Mars, but wanted to cut off my ties to my old communities that were about that other equine cartoon. 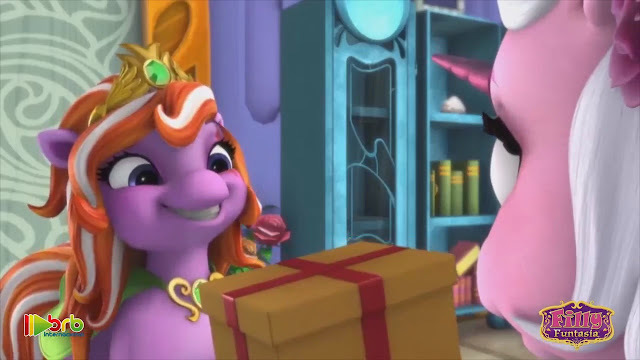 In this article, there will be a toy analysis article of a similar type to what Zejgar used in his first article, in which it is tried to reach a verdict on how many Filly characters that exist in the very widely spanning Filly world. Find out more, after the break. It's been a while since we had any significant Filly Funtasia news, so let's have some not-that-significant Filly Funtasia news. 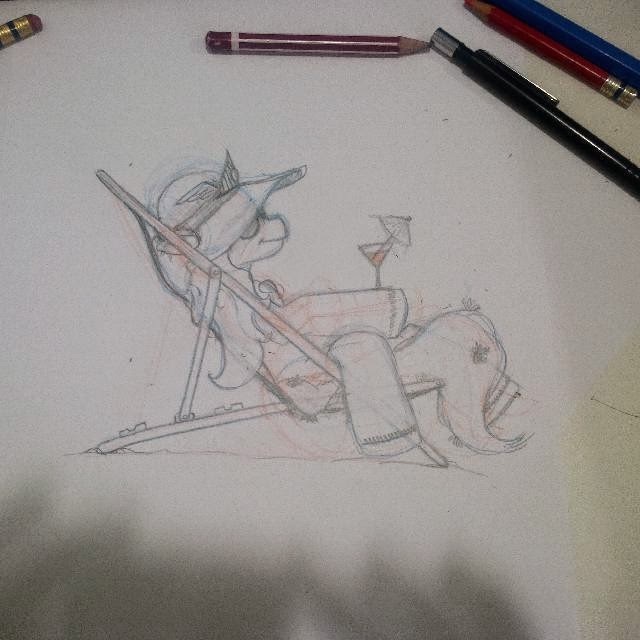 It's two pictures of concept art! Maybe we'll be getting a beach episode! What settings would you like Filly Funtasia to explore? Hello good people! I hope you're having fun here, in this megapolis of Filly Funtasia Fandom, because I certainly do! My nickname is Zejgar, you may know me from my endless Twitter ramblings and my finite Tumblr posts. I am a fan of My Little Pony Generation 3, among many other things. And now I'm here! Isn't that great? Boy, what a rough time we live in. Filly Funtasia, the very reason why this website exists, refuses to show its face to the public for more than a couple of minutes. We know it is coming, eventually, but right now the entire fandom is very similiar to a cult, in which every member hails one another and reminds that, yes, the promised land shall soon be reached. It takes a special kind of persistency to maintain interest in all of this. Thankfully, Filly Funtasia is not the only thing in the Filly franchise! Double thankfully, Filly frachise has a lot of things that, if aren't good, at least seem to be full of effort. The toylines and their detail may surprise an average Hasbro customer, since you get more stuff than a figurine and its name. A lot of you probably already know of Filly Stars leaked story arc (if not, check the news below), and while it is one of the first legit story arcs of the franchise, it is not THE first one. For before that, a story arc had its place in the mystical world of Filly Witchy. The arc consisted of twelve pieces, distributed monthly, and each piece came in the form of a comic issue. Today I would like to acquaint you all with the first issue of Filly Witchy magazine, by showing you a comic. Check it out (in my somewhat tolerable RU->EN translation) after the break. A German article (there's also an English one but with less detail) recently popped up on Brandora with some details about the merchandise we can expect for the Filly Stars. It also says that we can expect a range of toy products based on the TV series, that it's progressing very well, and hints that there will be a DVD release. But unfortunately, it also says that the release of the show is now planned for Q1 2016. The last known previous estimated release date was Autumn 2015, which was given in a YouTube comment from the official BRB account in October last year. Meanwhile, the text on fillyfuntasia.com still says "26 x 26' CGI TV animation for 2014" as of writing which is getting increasingly outdated. The Filly Stars have been pretty great, in my opinion. They've started linking together the storylines about the different Filly types and done some world building to solidify how the Filly World works. That really helps build the setting into a coherent world. The bios are longer now and contain lots of neat little pieces of information - like how Saga's bio reveals that there's a school in Skylia where magic is taught. Maybe that'll be mentioned in Filly Funtasia! But all that pales before the fact that the Stars include the Best Filly. Now here's a Filly who's clearly doing some truly admirable work. Doesn't get much better than that! When I wrote the old post about the Filly Stars, we knew very little about them - but over the past two weeks, a lot more has surfaced! Let's take a closer look at the new Filly type, after the break. It looks like we're getting a new Filly type - the Filly Stars! Read more after the break.